Everyone knows that there are more ants than humans in the world. However, that doesn’t mean you have to let ants take over your home! With just a few simple changes around the house, you can fight an infestation and stop ants from entering your home in the first place. Ants are devious little insects and will take any available opportunity to sneak into your house to steal your food. 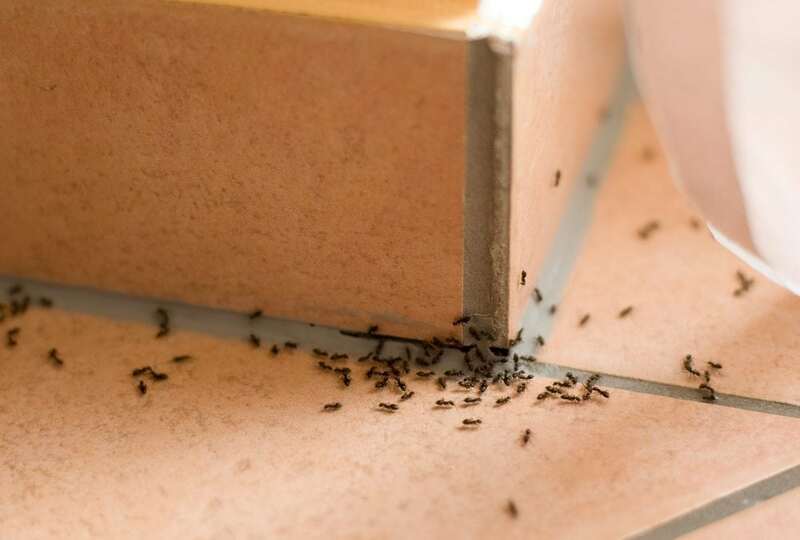 Once you notice ants in your home, it may already be too late to prevent an infestation. That’s why it’s important to remain on guard at all times. Watch out for the tell-tale signs of ant activity in and around your home. When you start noticing long trails of the insects, it’s time to act. Ants love to gather around sources of food and water, so keep a careful eye on your kitchen, any outdoor taps, or even your pets’ food bowls. Ants just love it when we leave food lying around for them to take! Ants leave pheromone trails wherever they go, so each ant you find in your kitchen means more could be on the way. In order to keep ants away from your home, it’s important to store your food correctly. Instead of having open packages lying around in your pantry, you may want to consider investing in quality storage containers. By sealing all your food away, you’ll be locking it safely away from ants and other nasty pests. Always remember to close your cupboard doors to reduce the risk of ants finding their way in. There’s nothing more attractive to a colony of ants than a messy, grubby home. In order to keep those sneaky pests away, make sure you clean up right away after any spills or messes. Regularly sweep your kitchen and dining spaces to clear up any crumbs or food scraps. Always remember to put the lid back on your rubbish bins and give them a thorough cleaning from time to time. If you’re a pet owner, keep an eye on your pet’s food bowl. Believe it or not, even leftover dog food is absolutely irresistible to ants! If you’ve tried storing all your food correctly, cleaning up after yourself, and all the DIY treatments, but the ants keep coming, it may be time to call in the professionals. Qualified pest control experts can help you rid your home from ants. Through the use of industrial equipment and specialized techniques, a professional pest exterminator will perform inspection and pest control services to ensure ants will never enter your home again.